Renew your skin just in time for Spring with Palmer's Skin Care! Spring is a time for renewal. Why not renew your dry winter skin with some help from Palmer's? Palmer's skin care products are enriched with cocoa butter and can revive and nourish your skin. 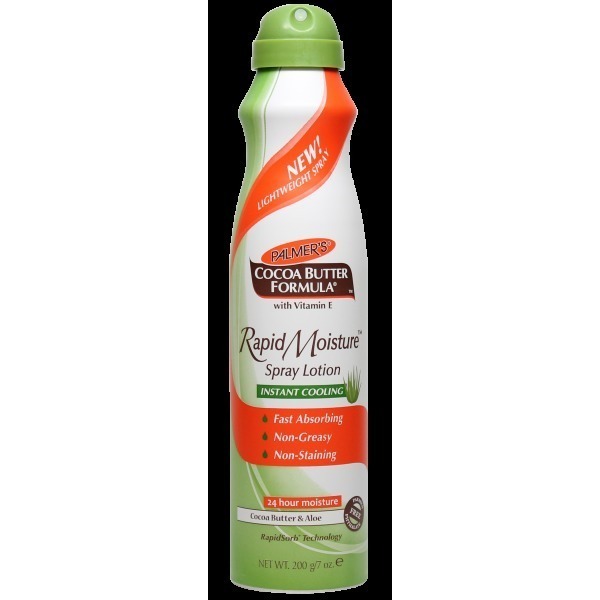 Palmer’s Cocoa Butter Formula Rapid Moisture Instant Cooling Spray Lotion – This Cocoa Butter and Aloe based spray lotion is the perfect moisturizer leaving skin feeling soft, smooth and instantly refreshed. Palmer’s Cocoa Butter Formula Heel Repair – The perfect problem-solution product specifically formulated to soften and smooth dry, cracked heels and feet. In a convenient no-mess stick applicator, this product is a must-have to repair dry skin patches caused by winter month activities. 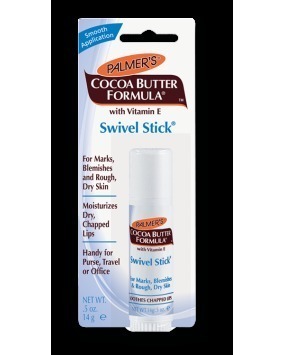 Cocoa Butter Formula Swivel Stick allows you to smooth lips, elbows, knuckles or just any dry areas quickly and easily on the go! I love Palmer's cocoa butter skin care products! The spray on moisturizer is perfect after a shower. I spray it on my damp skin to seal in the moisture. My skin is left feeling so very soft and supple for 24 hours. I love how these products leave my skin with a delicious and comforting chocolate aroma. My daughter uses the swivel stick for everything from soothing her chapped lips to softening her wind burned knuckles.